At the John Innes Centre, we currently have four Lab Managers, responsible for the major buildings which house laboratories on-site. I’m the new Lab Manager for the Chatt Building, taking over from Gill Ashby, who is approaching retirement having managed labs at the John Innes Centre for nearly two decades. Each Lab Manager is responsible for a particular building on-site; Chatt, Biffen and Bateson, but we work as a team, to ensure continuity, efficiency and best practice runs throughout the institute. My role as Lab Manager is fantastically varied and no two days are the same. Essentially it is my job to ensure the laboratories within the Chatt Building run as smoothly as possible, allowing the scientists to get on with what they do best; scientific research. In practice this means that it is my job to monitor equipment, maintain cleanliness and safety, ensure on-site systems are functioning, the facilities and infrastructure are appropriate and fixing issues as they emerge.  Before I joined the John Innes Centre, I worked across the Norwich Research Park for Quadram Institute Bioscience, who I joined back in 1986 as a Research Scientist (back when it was called the Food Research Institute). 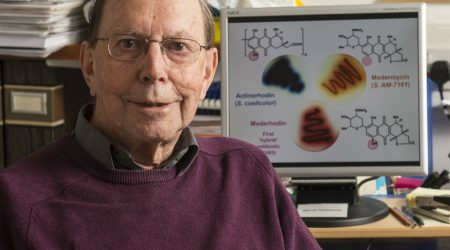 As a Research Scientist, I worked on a number of projects concerning human health and the gut, but found that as my scientific career progressed, I was becoming more involved in troubleshooting issues within the lab, method development and interacting with other scientists around the world, which I was enjoying more than my research. For example, I worked on one EU-wide project that was getting consistent, but unexplainable results in their experiments, in two separate labs, located in Ireland and Switzerland. I was called in to investigate and was able to help ascertain that the results were being caused by dust from gloves in Ireland and a less-than-thorough rinse cycle in the Swiss dishwasher. I loved the satisfaction of solving what ended up being very simple problems. The experience sowed the seeds for my change in career focus. 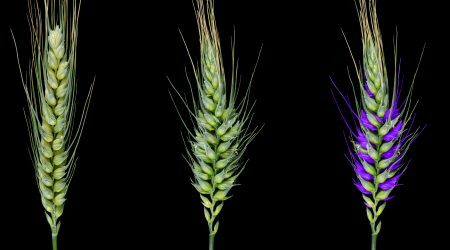 Very shortly afterwards, an opportunity arose, as they often do within a scientific career, to try something new and I was given a chance to head to Cornell University in the United States to work on mineral bioavailability in cereal crops. While there I was given the additional role of Lab Manager. My time at Cornell was hugely rewarding and I realised lab management was what I wanted to do with the next stage of my career. I returned to Quadram where I was given the combined role of Lab Manager and Biological Safety Officer. Over the years, I found though that while safety was an important aspect of the role, Lab Management was the thing I enjoyed most. Earlier this year, the opportunity came up to join the John Innes Centre as a Lab Manager and I jumped at it. A few weeks in I am really enjoying it. 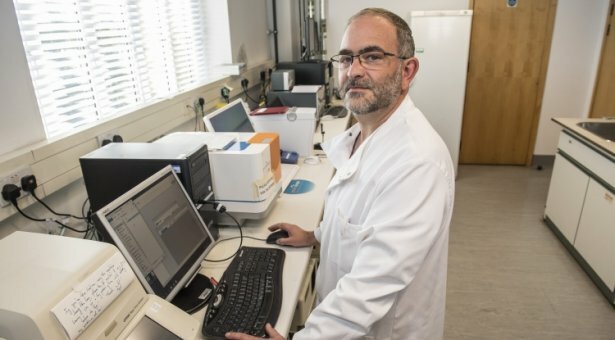 The best aspect of my role here is the interaction with scientists, coupled with the feeling that by doing the unseen work and removing any headaches or barriers from scientists, you allow them to concentrate on what they do best, and in-turn you are directly contributing to the incredible work that goes on here. A lot of my role involves communicating with people and working in science you meet an incredibly diverse and interesting set of people, passionate about their research interest; which is fantastic for me. Of course, sometimes things can go wrong and as a Lab Manager you can feel caught in the middle of two competing and contradicting requirements, but often there is a solution to be found and when you find it, everyone wins. Lab Management is not for everyone, but it was the perfect evolution of my scientific career and I consider myself incredibly lucky to be able to do what I love doing. 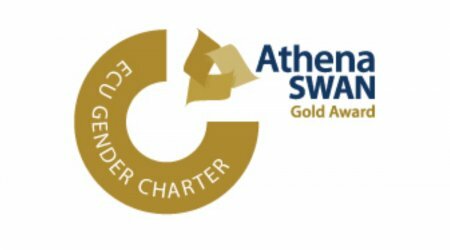 One year on from becoming the first Institution to be awarded Athena SWAN Gold, its impact on our culture continues to grow.